For all current GMA members. 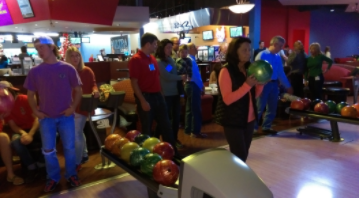 Bring your family and unwind and relax at our after-Christmas party at Stars & Strikes. Only $5 per person for a night of action-packed entertainment for the whole family! Whether you are a novice and need help getting started or a serious bowler looking to break your next 300, Stars & Strikes has lanes for you. Enjoy great fellowship and fun with other GMA Members and a delicious Bar-B-Que buffet.